If you are looking for team building activities for your business that are fun, unique, and memorable, Celebration Source has great options for you! We offer carnival games, inflatables, carnival rides, and a large assortment of indoor and outdoor fun. Team building can boost company morale, improve performance, and foster communication and teamwork. If your company could use a fun, team-building activity, Celebration Source is your source for entertainment! employees will have a better understanding of how to work together on company projects. Games requiring teamwork also lead to better communication, and this makes all employee interactions more positive. Open the lines of communication and teamwork with an event through Celebration Source today! Everyone wants to work in a positive environment, and having fun company events can help keep that positivity flowing. Being able to network and socialize outside of the walls of work can translate into better work done in the office. Offering your employees a fun company event is one way to keep the positive vibe going in your company. Whether you are playing midway games, riding our ferris wheel, or bouncing away on one of our many inflatables, Celebration Source has all the ingredients you need for a fun company event. Provide your employees with fun, positive, and exciting events to keep that same energy going at work! Competition can be a great tool in the workplace to increase productivity. Foster that fun, competitive spirit with our carnival games! Whether they are challenging each other in one of our sports games, playing a gigantic game of inflatable Twister, or having a showdown at the machine gun midway, your employees will love competing in the fun atmosphere of a carnival. 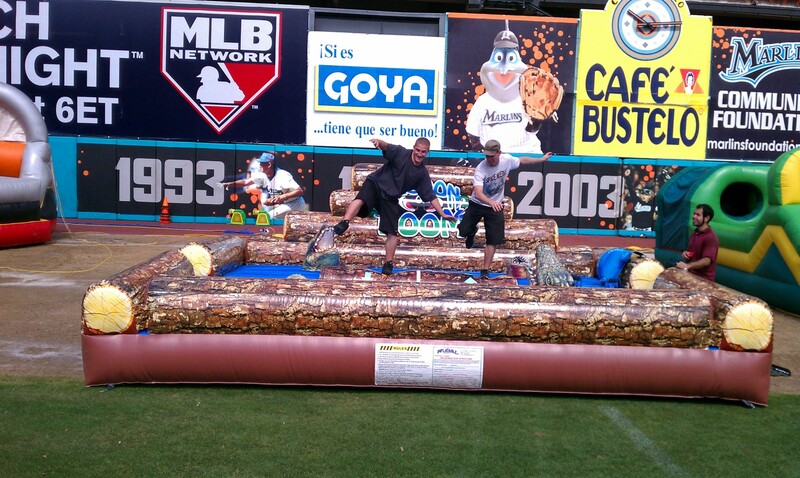 The winner of these games will have bragging rights in the workplace for days! What better way to celebrate an office success or a company goal than a day at the carnival? If you have reached an important company goal or milestone, you can show your employees they are appreciated with something much more unique than your typical office party. A day at the carnival is something to look forward to, and will create great memories for your employees. If all of this sounds great, but finding time to enjoy games with your employees is hard, Celebration Source has a great option for you. We provide company event packages during the lunch hour! Our special Lunch Crunch packages will bring fun food and games to your employees to enjoy during the lunch hour. Don’t let time constraints get in the way of team building and fun; our Lunch Crunch packages make it easy to squeeze in fun and camaraderie. 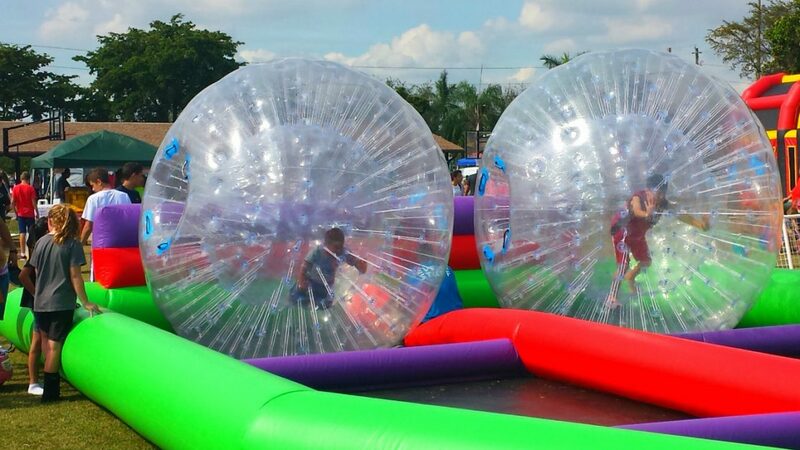 If you have been looking for the perfect team building activity for your company, our carnival games, rides, and inflatables in Hollywood, Florida are the perfect solution. Contact Celebration Source to get started team building today!